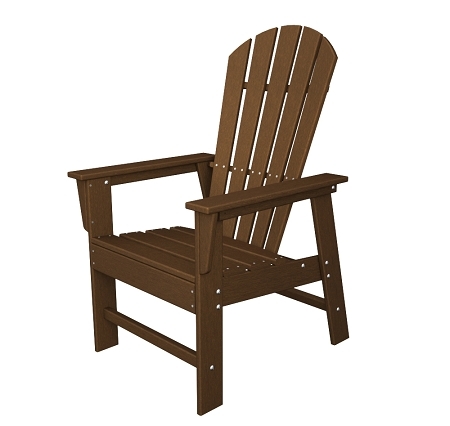 These no maintenance chairs are made of fade resistant recycled polyethylene material and stainless fittings. They are comfortable and are ideally suited to dock use since they have enough heft to resist strong winds. Polywood furniture is a long lasting environmentally conscious decision that looks great too!